Our private meeting room can comfortably hold up to 35 guests. The room is available for meetings, family gatherings, company events, training, parties, etc. If you need food, naturally, we can accommodate that for you with a comprehensive list of options available that will assure a successful event. It is the perfect banquet facility for the Kirkwood and Webster Groves communities and is centrally located in the St. Louis metro region making it convenient for attendees spread across the area. 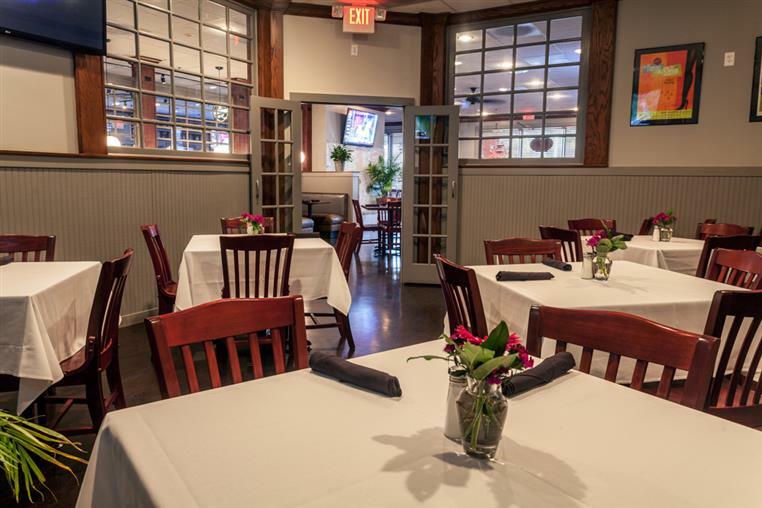 We can provide the atmosphere that you desire, whether it is a professional setting or a casual family gathering. Both table service and buffet service are available. You can order from our menu or we can create a custom menu specifically for your event. Our executive chef is experienced in a wide range of cuisines that makes it simple for you to choose the cuisines that will assure a successful event. If you would like to display your own videos, our private room is perfect for you. The state of the art connections in our private room allow you to project your show on all of the TVs in the room, in unison. Or, use our free wifi to access and view anything you like from the internet during your private event. 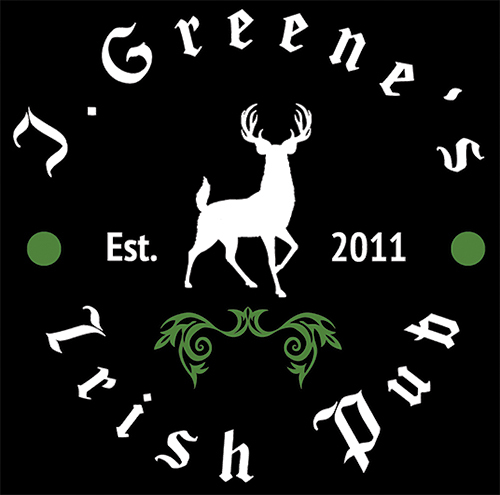 Regardless whether you need dine-in, carry-out, banquet facility, catering or online ordering, J Greene’s Pub makes it easy to do business with by providing a comprehensive list of services in addition to their top-rated cuisines. If you have any other special requests, please let us know. For more information about our banquet facility or catering services, onsite or offsite, please contact Jason at (314) 394-2330 or email us at jgreenespub@gmail.com.